Whisky producer Compass Box is launching a global campaign aimed at encouraging greater transparency in the packaging and promotion of spirits. The company’s Scotch Whisky Transparency campaign hopes to enlist consumer and industry support to lobby for changes to UK and European Union law. These changes would allow producers to give ‘complete, unbiased and clear’ information on component whiskies in their products, Compass Box says. 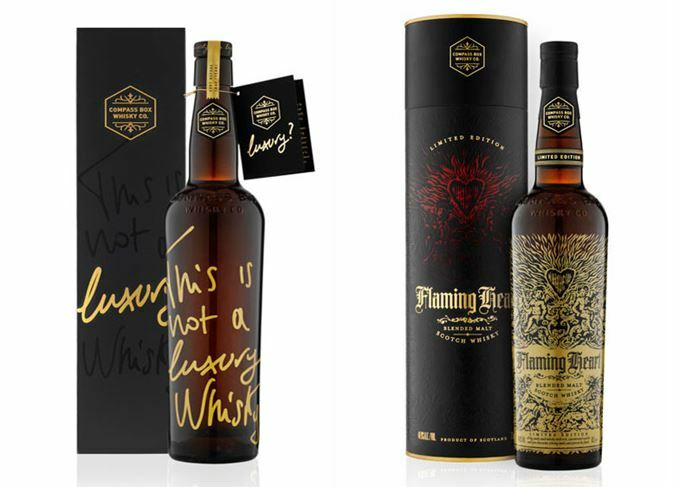 The campaign launch follows Scotchwhisky.com’s exclusive revelations last year that Compass Box had been informed by the Scotch Whisky Association (SWA) that it had broken the law by communicating the precise recipes for two of its whiskies: Flaming Heart and This Is Not A Luxury Whisky. Under EU law, distillers can only disclose the age of the youngest component of any spirit product – a measure designed to prevent them from misleading the consumer by over-emphasising the role of older components. The furore prompted an open letter from Scotchwhisky.com to the Scotch whisky industry to gauge the appetite for change, and a ‘positive and constructive’ response. However, any changes would be optional, rather than compulsory, he stressed. ‘Our proposed amends would give producers the freedom but not the obligation to provide complete, unbiased and clear information on every component whisky in their product – with or without the headline age statement outlining the age of youngest spirit permitted under the current regulations. Compass Box is encouraging people to visit the campaign section of the company’s website and to sign a ‘Statement of Beliefs’, where full details of the proposed changes are outlined. Glaser admitted that changing the law may be a lengthy process that takes years to accomplish. But he added: ‘We’re taking on this law because we think it matters. I can’t think of any other industry, anywhere in the world where concealing relevant information from the consumer is not only tolerated – but is actually enforced by law. Islay distillery promises more open approach as thousands sign up to Compass Box campaign. The bottler removed detailed information about two new whiskies after contact from the SWA. Do Scotch whisky producers want a rule change to allow greater transparency for the consumer?